Low learning curve because of the extremely elegant and easy to use graphical interface, while offering an incredible range of calculations and specialty tools.. 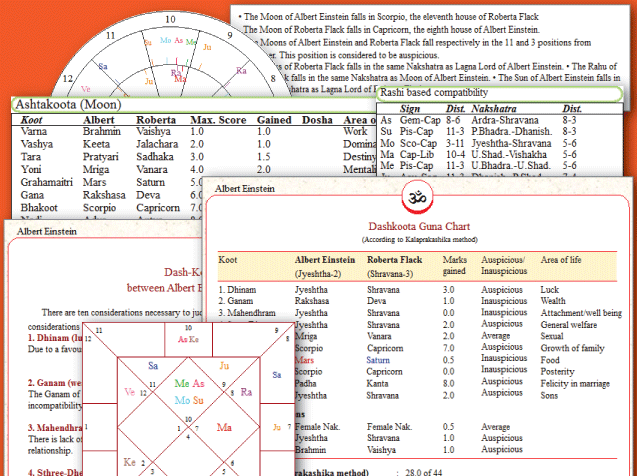 Learn Vedic Astrology with the Personalized Tutorial and other interactive features. Lasting investment: supports virtually every astrological calculation and technique in use. 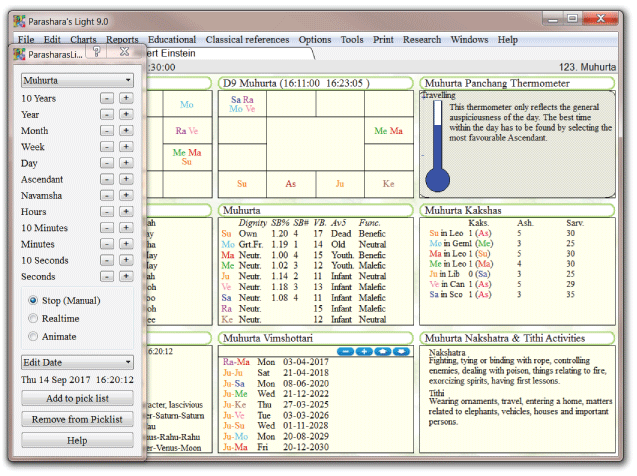 Fully customizable screens, charts, interpretations, and printouts. Pleasing to use, beautifully designed screens, printouts and reports. We have been around for over 25 years, and we still offer Free Technical Support and online help! Parashara’s Light is designed to be very easy to use, so it is ideal for the total novice. But it has an incredible array of calculations and advanced features just under the surface, serving even the most advanced professional astrologers. Many innovative features give access to a ton of learning materials. Because it is interactive, and specific to your chart, the learning sticks! The powerful screen design tools make it possible to truly customize screens, so the software can be tweaked to meet just about anyone’s needs. Parashara’s Light has serving the Vedic Astrology community for over 25 years, and is a rock solid product when it comes to stability, accuracy, and customer support. 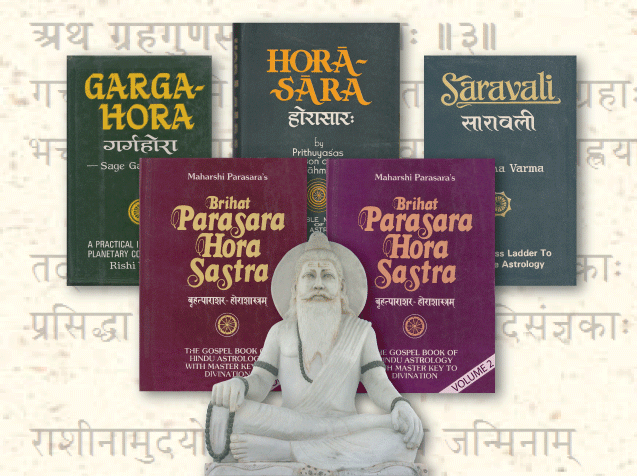 After you purchase Parashara’s Light, you will receive a download link for installation on your Windows or Macintosh. The first time you use it, Parashara’s Light will automatically activate over the internet! 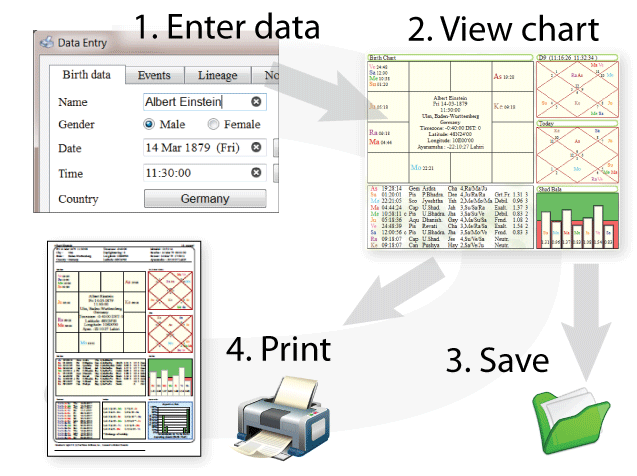 Birth data entry is intuitive and quick. The city will automatically be looked up in the exhaustive atlas. 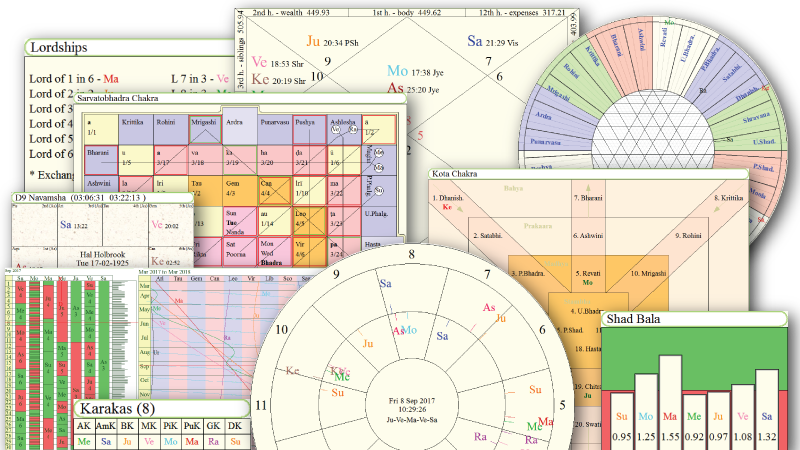 Press OK, and the chart, planetary degrees, navamsha, dashas, and everything else you choose to see will instantly show on your screen. 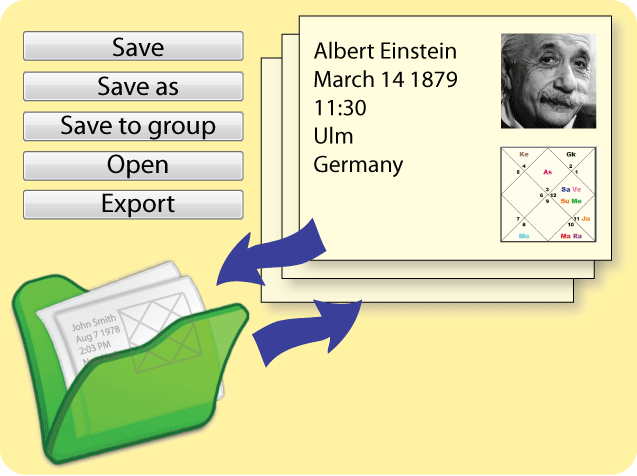 Now you can save the data, print, or enjoy any of the many interactive features. Over 100 preconfigured screens are highly interactive and customizable. You have full control over layout and content, and you can freely design as many screens as you wish. 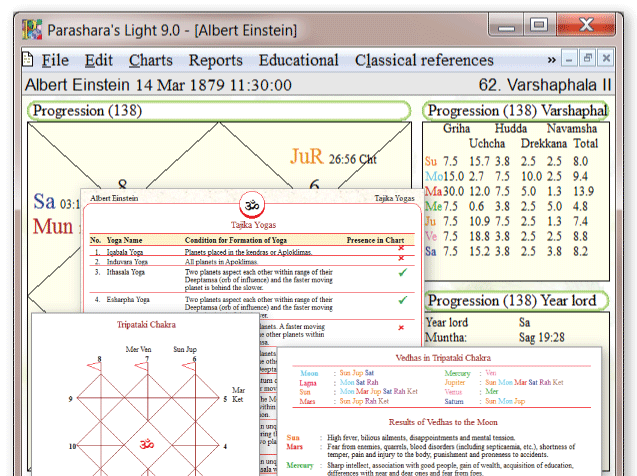 Parashara’s Light comes with sophisticated Chart file Management features. You can categorize your charts in different groups and keep them more organized. You can also copy, move and remove charts from a group just by the click of a mouse. The File Manager has been designed very efficiently and can easily handle thousands of charts at a lightening speed. Reports have a clean look and are beautifully designed. The scrolling of the reports is smooth and the report previews appear nicely broken up in individual pages. You can scroll through the pages with the mouse scroll button and the report navigation buttons show appropriate tool tips. 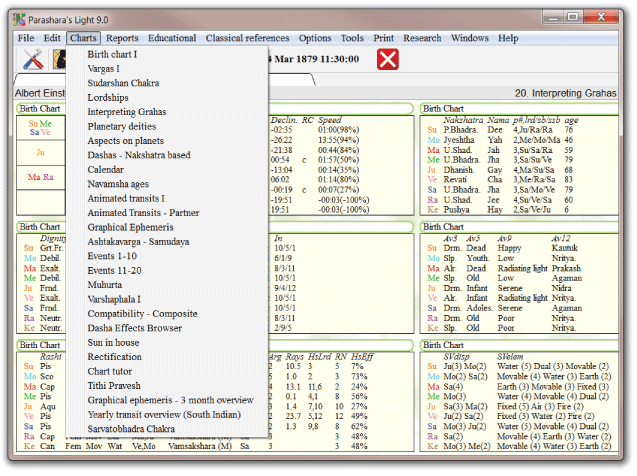 The software will automatically search thousands of Yogas and other interpretive content to find what appplies to your chart. 4 entire classical books are included in the software. 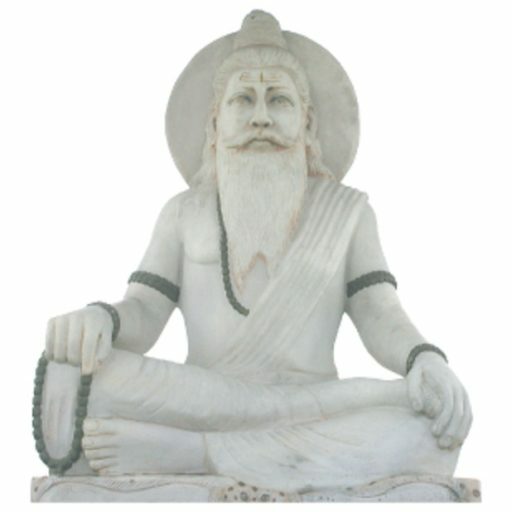 Dashas are key to making predictions in Vedic Astrology. Many dasha systems are included, and can be calculated for any of the divisional charts. 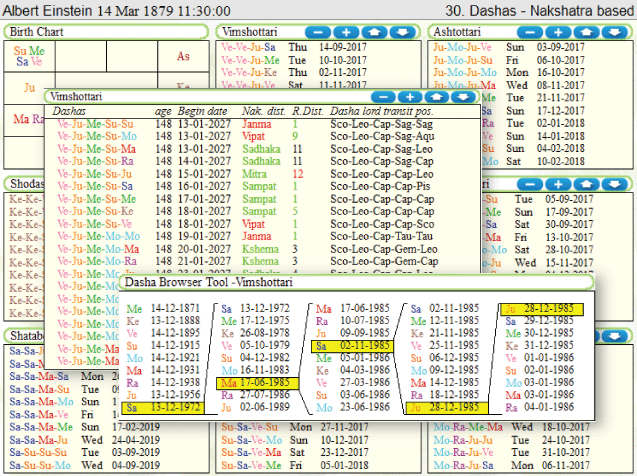 View dashas in a table, timeline, or linked to the transits. Transits are supported in a rich, interactive and ultra versatile way. 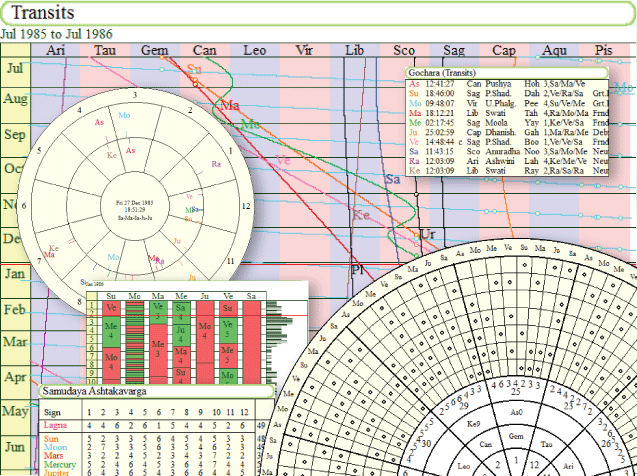 Show Transits animated around the birth chart, in timelines, or in a graphical ephemeris. 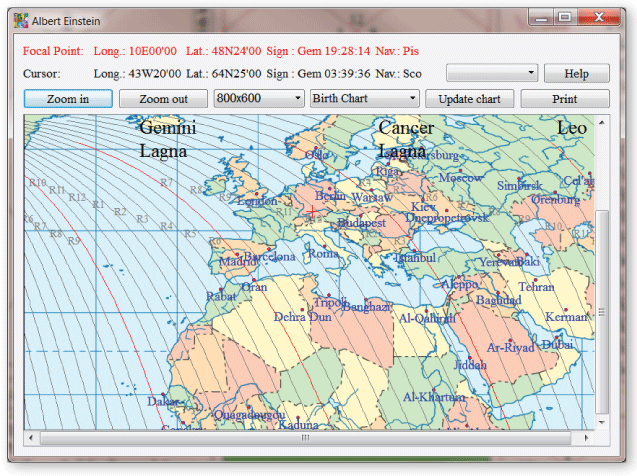 Do a Transit Search to find out when natal points are crossed. Easily and efficiently step through time to find an auspicious muhurta. Highly configurable, supporting numerous calculations. Record a picklist of your best finds, and narrow it downlater. 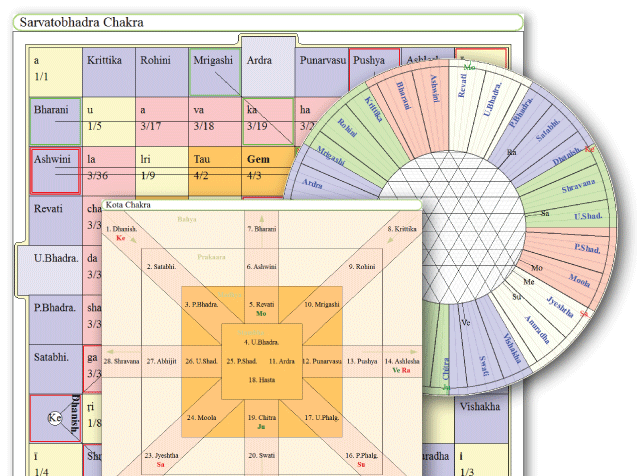 Create a Prashna chart with the mere click of a button. It is just that easy! 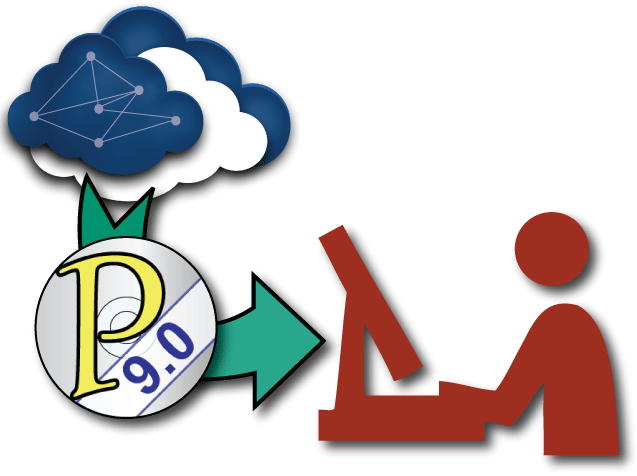 You can also configure the software to automatically start up with a Prashna start every time you launch the software. 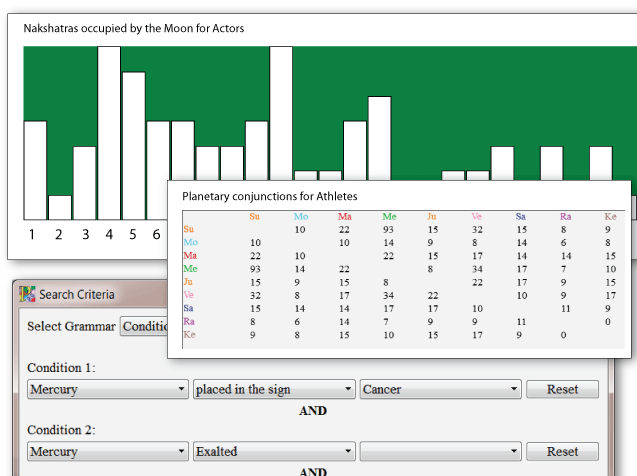 You can also cast Prashna charts based on number, using the KP system. 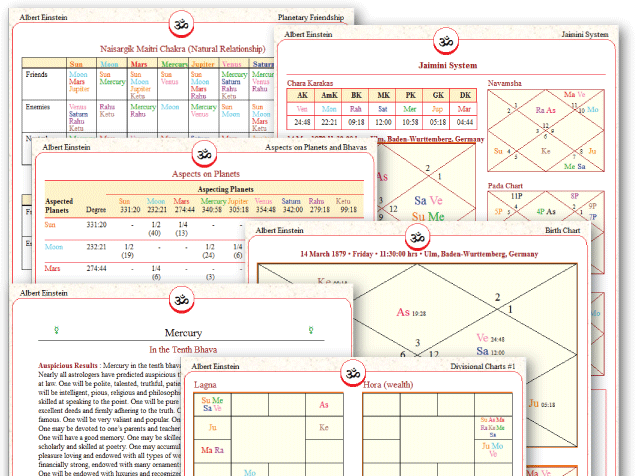 For every kind of Prashna chart, numerous calculations and tables are available. 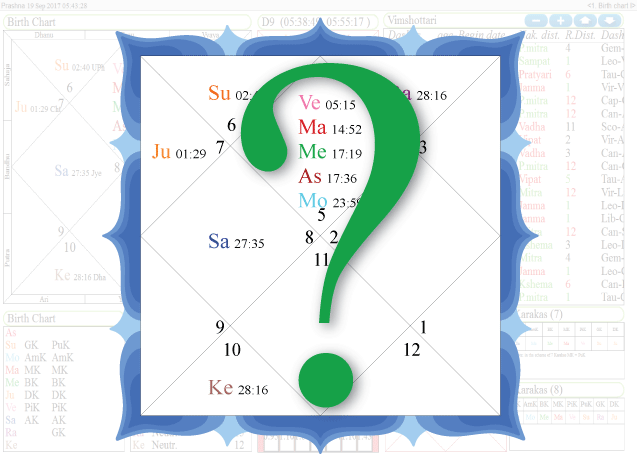 Varshphal, Monthly and Daily Solar return charts, and Varshapravesh charts are all fully supported. A detailed Tajika Yoga printout gives you details about planets forming these yogas. You can place a second person’s birth chart, dashas, or any of the divisional or specialty charts, right along side your own chart on any worksheet. It is highly useful for a potential partnership evaluation and predictive consideration of various matters that involve two people/subjects. Traditional Kuta based Compatibility is supported as well. 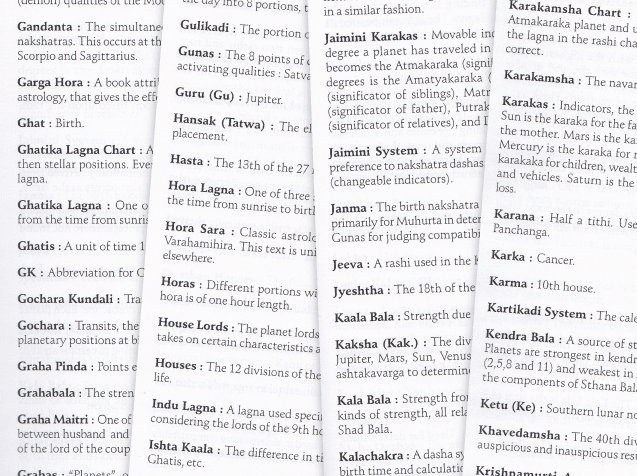 Parashara’s Light offers many ways to learn Vedic Astrology. People typically experience that they learn something every time they use the software. The complete beginner will find it very easy to learn essentials such as the position of signs and houses, while the more advanced student will benefit greatly from features such as the built in tutorial and personalized lists of applicable yogas. The research features allow you to examine commonalities between groups of charts, or find charts with a certain common factor. For example, you could pull up all people who have a certain wealth yoga. Or see how strong Venus is on average in the charts of singers. Since the software has so many advanced calculations, and is so flexible in applying these calculation in creative ways, the entire software is basically one giant research tool. The Rectification (Change Birth time) tool offers you a brilliantly simple solution to birth time rectification. 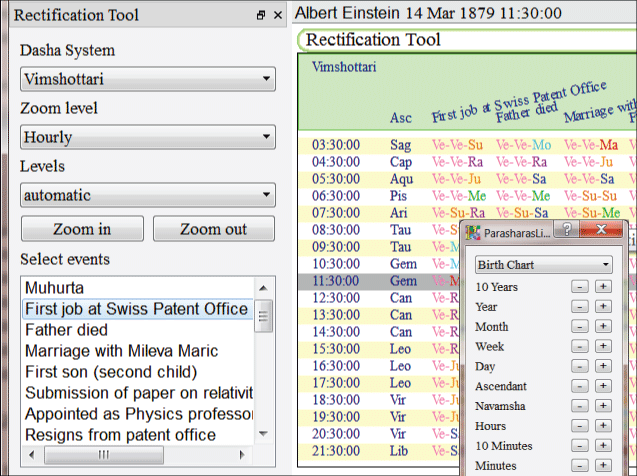 It allows you to examine the effects of a different birthtime, in any screen, by simply clicking on one of the buttons. 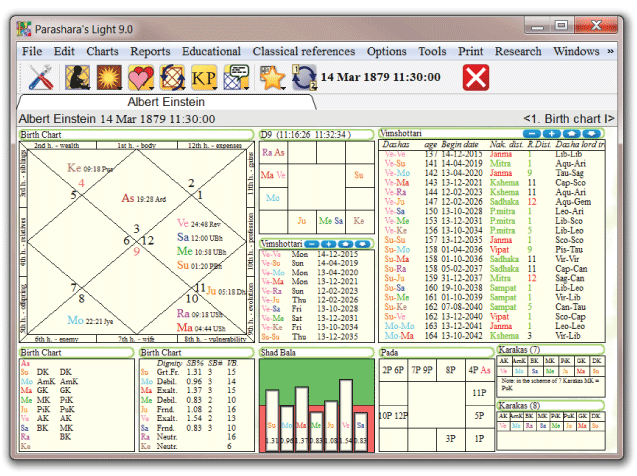 Instantly the screen is recalculated and you can observe and judge the effect it has on the horoscope. Not finding what you are looking for? Try the comprehensive index of terms! 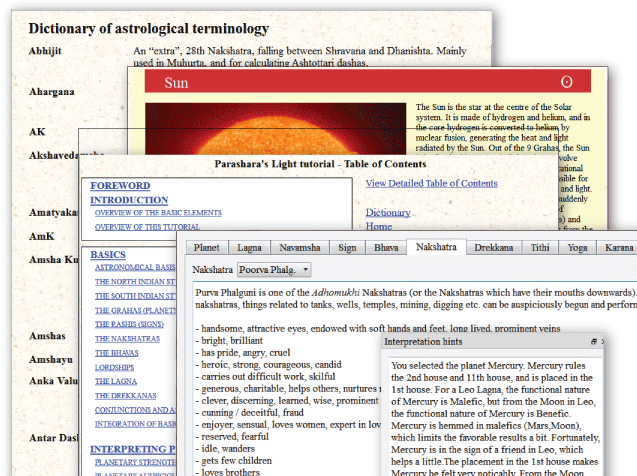 Take your Vedic Astrology studies and practice to new heights, and get Parashara’s Light for your Windows or Macintosh based PC or laptop.